Laurel T. Colins is a styling and decorating consultant specializing in spatial orientation and positive energy flow within physical environments. Focusing on quality and attention to detail, Hasler Homes Ltd provides customer satisfaction whether it is a luxury custom home or small renovation, your dream project is our reality. From the design of a small renovation to the construction of a single family home, I work with clients to create spaces that reflect the needs and desires of the client. SYNTHESIS, BY DEFINITION: “THE COMBINING OF ELEMENTS TO CREATE A UNIFIED WHOLE” Founded in 1992, Synthesis Design Inc. is a talented and dedicated team of designers with degrees, from Masters of Architecture, Bachelor of Interior Design, to Psychology, Engineering, and Fine Arts, that specializes in residential projects from renovations and additions, to complete custom home and interior design. Our design firm is a collaborative mix and brainstorming of ideas, concepts and practical application. We work in an environment that welcomes open dialogue and engagement. Projects, at various stages, are displayed in our studio as we collectively search and discover our client’s unique vision. In our studio “crit” tradition, all brainstorming ideas are welcome, no matter how far out they may seem. From administration staff to designers, we have created a culture where everyone can collectively express ideas. We feel this best represents a cross section of our demographic. Our team always walk away at the end of the day with a new found sense of creative vision. Our extraordinary environment of constant creative stimulation and problem solving empowers us and, ultimately, benefits all of our client projects. A clients’ project is always more defined, more creative, and more cost effective after a studio crit. Our extensive experience and diverse team all contribute to our fresh perspective and informed approach to design and sustainability. We are a talented group of skilled and dedicated individuals who strive for excellence in every project. Our collaborative team consists of experienced designers and project managers who successfully develop projects from initial client meetings to conceptual sketches and on through to planning, permitting and implementation. Our team has over 200 years of experience in the construction industry. From renovations to managing home builds to building commercial spaces we are here and ready to serve our clients. For over 20 years Graeme Huguet and his team have been creating great living spaces. From a small kitchen or bath to a full renovation or even building a new custom home, we do it all! 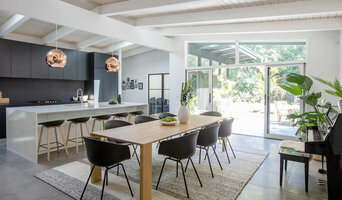 Bill Curtis & Associates Design Ltd.
Best of Houzz 2019 Winner! Bill Curtis Design Ltd. began in 1981, and since that time clients and projects have been diverse-and have ranged from kitchen and bathroom additions to whole subdivisions and commercial buildings. Since then the name was changed to Bill Curtis & Associates Design (2002) Ltd. to reflect the superior quality of design that is produced by our office and that we are actively working with other Design Professionals to produce superior and even more complete design packages for our clients. We specialize in developing unique, economical and practical solutions to clients needs. We specialize in space planning and building design customized to the needs and desires of our clients and are able to see them accomplished through a thorough building knowledge and a working relationship with municipal officials and builders. 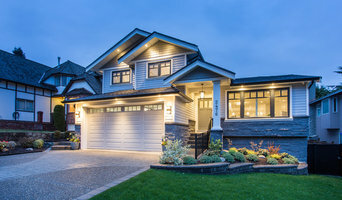 We are a team of design professionals with complementary skill sets who work together to design residential homes in the Greater Vancouver Area. We also specialize in designing kitchens and bathrooms. Synthesis Design Inc. has a strong background in residential projects from renovations and additions, to complete home and interior design. Since establishing Sensitive Design in 1996, Susanne has undertaken numerous design and project management assignments ranging from the very large (house and condominium design and construction) to the very small (kitchen and bathroom renovations). Strong interpersonal skills and a driving desire to provide client satisfaction result in uncompromising attention to detail and a willingness to go the “extra mile”. Feel free to reach out to us, we would love to hear from you! As one of the finest Italian kitchen design firms, we are committed to research and development, staying ahead of trends, and bringing new finishes and concepts to our portfolio each year. Matthew T. Hansen Architect is a registered firm established in 1996. Matthew T. Hansen Architect has developed a strong reputation for providing excellence in service and client satisfaction. Ours is a small architectural studio based in North Vancouver, British Columbia providing personalized service in the design of custom single-family homes with the intent of creating distinctive buildings with a unique architectural character driven by environmental stewardship and the subtleties of place. We pride ourselves on being relaxed and approachable with the rigorousness of our character being expressed through the thoroughness of our work. We are passionate about what we do. Beautiful homes and satisfied clients are the essential outcomes for us. Kevin Vallely is registered architect in British Columbia. He graduated from the McGill University School of Architecture in 1988 where he was awarded the Royal Architectural Institute of Canada Medal. He’s a recipient of a Commonwealth Scholarship in Architecture to Cambridge University, England. We work with clients on every level, from taking the entire project out of your hands or helping with just one piece of furniture, we are here to assist. Vancouver home design services with over 32 years of experience offers exclusive design ideas to Home owners, home builders or developers. We create a bridge between our clients and their dream homes. Trusting our creativity to help you to reach your ultimate goal in your living and working space is the least we expect from you. We believe in the quality of our services which can meet your expectations. We are Vancouver's Architectural designer for single family homes or renovations projects. AK Design is a full-service interior design firm that specializes in luxury residential homes, boutique commercial locations, and bespoke design projects such as event spaces. We specialize in space planning and building design customized to the needs and desires of our clients and are able to see them accomplished through a thorough building knowledge and relationships. Our award-winning design and construction teams at Asanti Homes take this respected, innovative and highly customer-oriented company to a new level of expertise in custom home building. Focusing on small to mid-size renovations such as bathrooms, kitchens additions and decks, Jack Ohinc can handle any carpentry or home renovation design project! Jack Ohinc is a classically trained wood worker, graduate of the Center for Furniture Craftsmanship in Rockport, Maine. Jack went on to become a carpenter specializing in home renovations. He truly believes with a well laid out plan and an informed client OHinc can meet and exceed any goal. He has spent the past 21 years in the construction field. 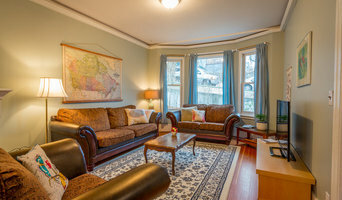 If you are looking to remodel your dream home, give Jack a call today at (778) 653-9595 or click the contact me button to send a message. We look forward to working with you! With over 15 years of experience, we have established a reputation for quality, workmanship, and excellence in service. We value our customers' vision and strive for perfection. We pride ourselves in establishing an amicable working relationship with our clients by delivering exceptional quality, transparency and value. Those who use us-trust us.